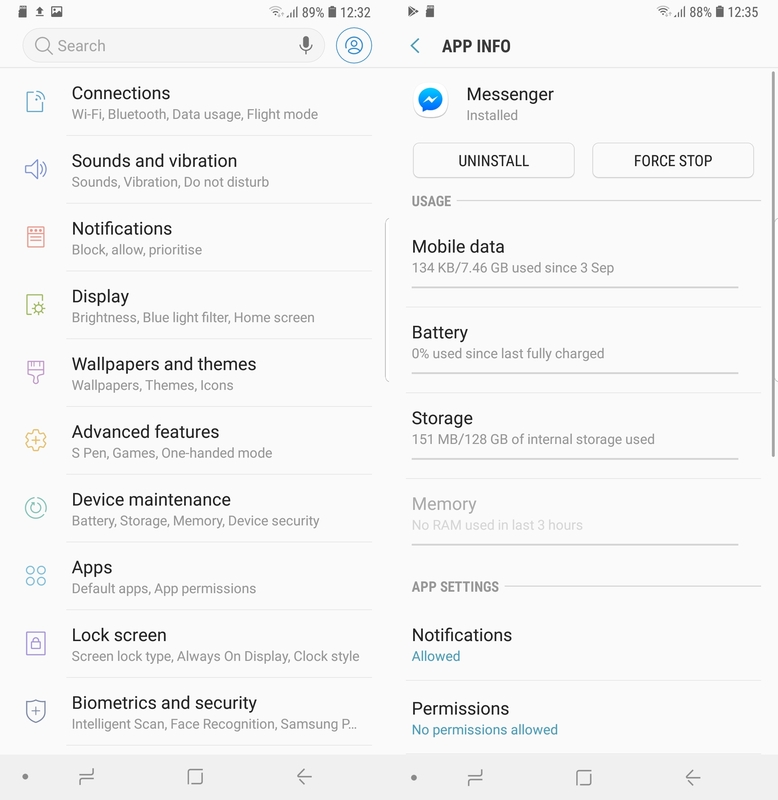 It’s simple enough to move apps to SD card on Galaxy Note 9. Some of you may still want to do that even though the base model of the handset comes with 128GB of onboard storage. If you splurge a bit you can also get the Galaxy Note 9 with 512GB of internal storage. This particular variant can put 1TB of storage in your pocket as the Galaxy Note 9 can support microSD cards of up to 512GB. This easy guide is going to teach you how to move apps to SD card on Galaxy Note 9. Remember that not all apps can be exported to the SD card. Individual apps have to support being moved to the SD card so the apps that don’t enable this option can’t be moved. Step 3: Tap on SD card followed by Move. Then wait for a bit as the device does its thing. 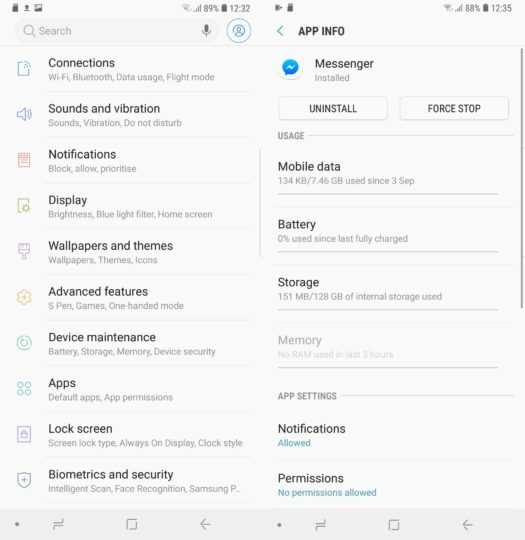 That’s really all it takes to move apps to SD card on Galaxy Note 9. Bear in mind that some of the exported app’s data will continue to take up space in internal storage. There’s nothing that can be done about it because it’s an Android thing. The icon of an app will be changed once it’s moved to the SD. It will let users know at a glance which apps they have shifted to external storage. 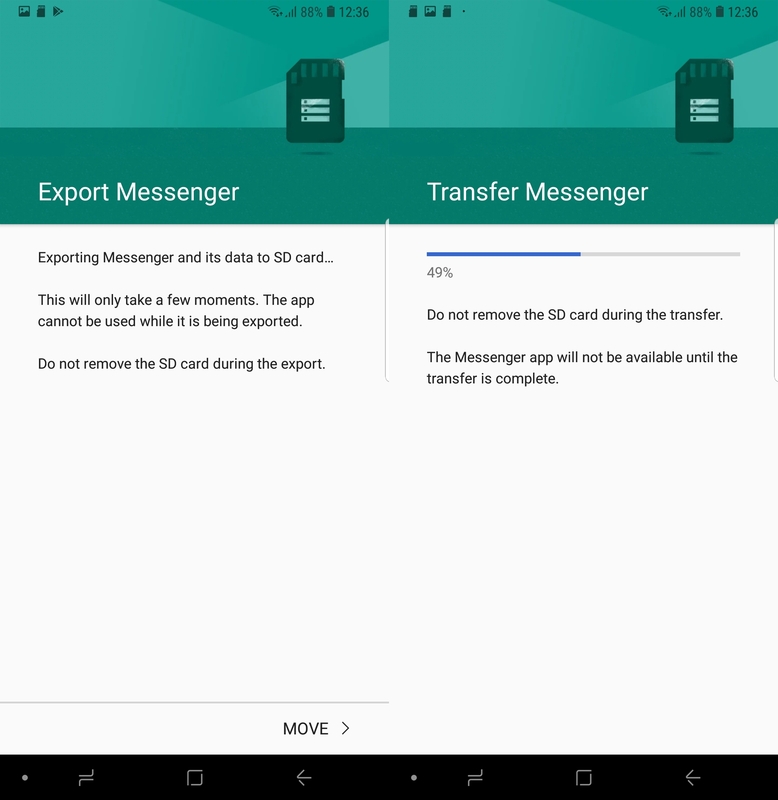 If the microSD card is removed the apps exported to it might stop working. 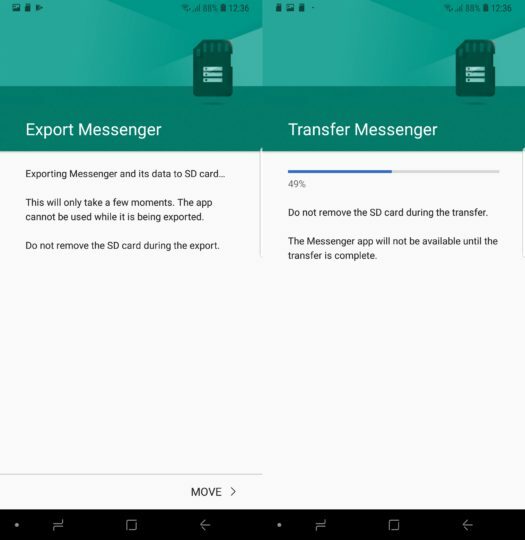 Apps have to be moved back to internal storage when swapping microSD cards. Follow the same procedure and select Device memory in Step 3 if you want to move an app back to internal storage from the SD card. Note: It was pointed out to us (Thanks, Wesley! ), that apps once moved to the SD card are ported back to the internal storage once they receive an update. We have tested this out ourselves and that is indeed the case. This is most likely an Android issue so if you don’t want apps moving back to the internal storage, don’t update them, but that’s never recommended. Stuck? Do reach out for assistance in the comments below. Also, check out all of our other Galaxy Note 9 tips to learn more about the various features of Samsung’s new flagship. You can also download our new magazine for 25 Galaxy Note 9 tips and tricks in a single location.